After the exhibition „Pergamon resurrected!“ in Leipzig has ended the 3D-visualisation is now accessible online. As the center of the Hellenistic dynasty of the Attalids and as a Roman metropolis, Pergamon was one of the most prominent urban centers of the ancient world. In addition to its political significance, the city was a cultural and religious center with a significant library and impressive monuments and art work. Archaeologists of the German Archaeological Institute have been working in the metropolis on the west coast of Turkey for more than 130 years. The Pergamon excavation is thus one of the oldest and largest German archaeological research projects abroad. The project has long since developed into an international research platform. Colleagues from Turkey, Germany and many other countries work together to research and preserve the UNESCO World Heritage Site Pergamon. Thanks to the intensive archaeological work and scientific documentation of the preserved buildings, the researchers can now reconstruct and visualise individual buildings, architectural ensembles, and even large parts of the city. In the summer of 2018, the exhibition “Pergamon resurrected!” in the Antikenmuseum der Universität Leipzig showed for the first time the numerous reconstructions. Since the beginning of the excavations reconstructions of the ruins have been created in various media. 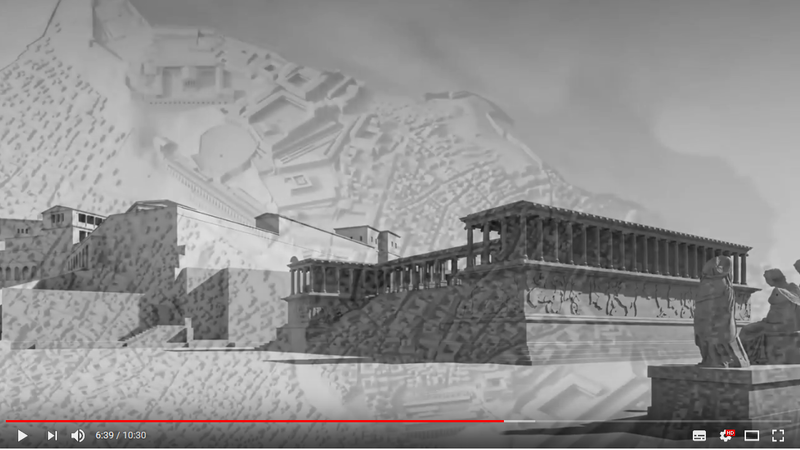 In cooperation with the Chair of Design, Building Theory and Interior Design at the BTU Cottbus-Senftenberg in Brandenburg, a virtual 3D reconstruction of the ancient Pergamon was created. The visualization shows how the city might have looked like around 200 AD. A short film makes the research results visible. The modern viewer can walk in the food steps of the ancient inhabitants of the city or exploring the Pergamon cityscape from a bird’s-eye view. The gymnasium, the lower Agora, the theater or the Hera Temple are just a few examples that can be seen in the film. After the exhibition has ended mid July the video 3D visualisation is now freely accessible in German.